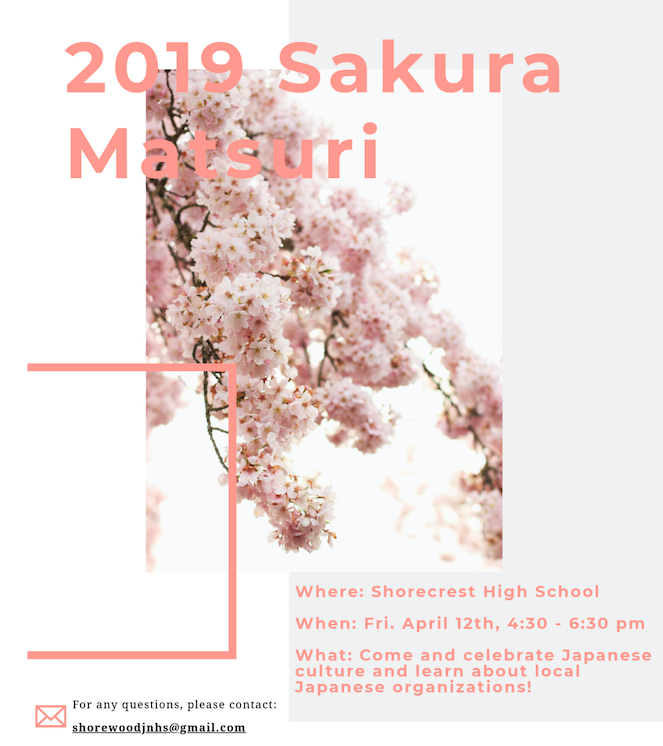 Friday, April 12, 2019, the Japanese teachers and students of Shorecrest, Shorewood, Einstein, and Kellogg are co-hosting the first Shoreline Cherry Blossom Festival. There will be many fun activities, such as Kendo, Tea Ceremony, Koto, kimono wearing, origami, calligraphy, and traditional Japanese games and toys. The festival will be held in the Shorecrest High School Commons, 15343 25th Ave NE, Shoreline 98155 from 4:30 - 6:30pm. There is no charge for this fun evening of Japanese culture.